Dandara is out now on every major game platform, including iOS and Android. Get ready to fight against oppression in the new side-scrolling action game, Dandara. If you’re looking for a fast-paced, Metroidvania platformer with a deep historical guiding influence, then look no further than this little gem, made with dedication by developer Long Hat House. The protagonist and namesake of Dandara is inspired by the real-life Dandara dos Palmares who, during the 17th century colonial period in Brazil, fought against the enslavement of Afro-Brazilians. The main character is designed beautifully, and the level design beguiles you in its beauty all the while challenging you with ever increasing difficulty. 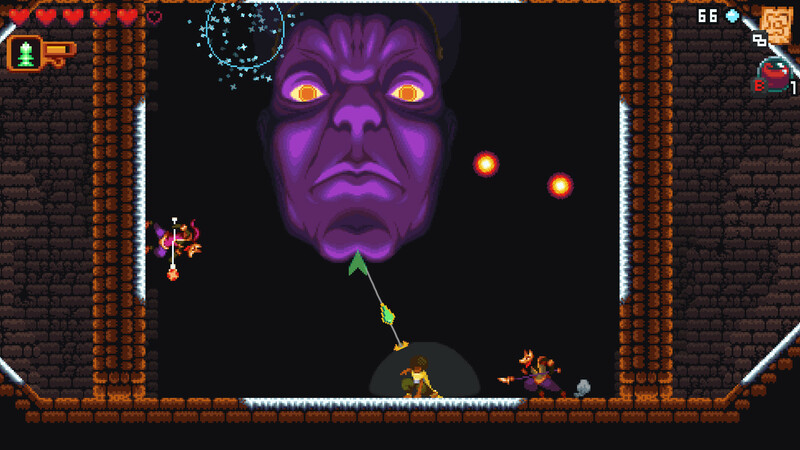 Dandara can defy gravity, leap from wall to wall, and shoot enemies with pinpoint precision. These limited mechanics make for both thoughtful and fast-paced gameplay. Succeeding in Dandara is a feat of both mechanical skill and thoughtful problem solving. You can play Dandara right now on PC, Xbox One, PlayStation 4, and Nintendo Switch, as well as on iOS and Android mobile devices for just $14.99. Both PlayStation 4 and Steam purchases are discounted during the game’s first week of release. Check out the launch trailer above for a glimpse at Dandara’s action-packed gameplay.